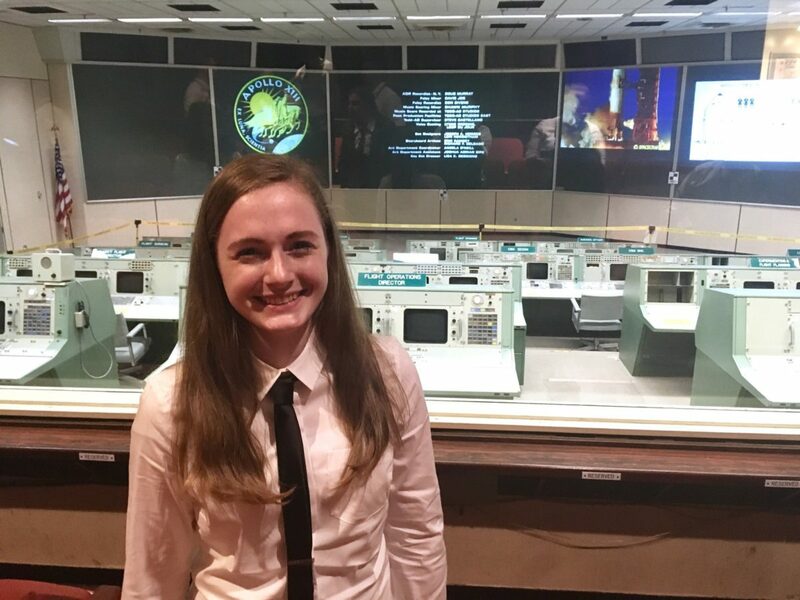 Kelly DeRees knew she wanted a STEM career from the moment she laid eyes on Space Shuttle Endeavor, so she pursued several NASA experiences — and created STEM opportunities of her own — to make it happen. When you’re standing nose-to-nose with a space shuttle, it’s hard to not want to be part of the team that made it fly. This is how I felt as a freshman in high school, when I walked beneath Space Shuttle Endeavour at Kennedy Space Center before she flew to California to be in a museum. Now I’m a junior in college, and I’m an intern at Johnson Space Center in Houston. It’s been a long journey to get here, and I’ve been fortunate to have many NASA experiences along the way, all of which have taught me something that helped me get to JSC. In high school, I joined several NASA education programs, including engineering design challenges, job shadows, and a student community that received mentorship from NASA employees. Many of the programs I was part of have since been phased out or replaced, but the lessons I learned from them have stuck with me. If you’re a student interested in being part of the space program, I recommend checking out current NASA student opportunities. If you’re in high school, the Optimus Prime Spinoff Promotion and Research Challenge program, or OPSPARC, is a great opportunity to exercise your engineering and communication skills while interacting with NASA scientists and engineers. If you’re in college, the Micro-g NExT program will allow you to design and build a tool for astronauts to use during a spacewalk, with the opportunity to test your device in the Neutral Buoyancy Lab at JSC. One of the most important things I’ve learned from NASA is persistence in the face of challenges. I’ve had plenty of chances to stumble on my way to where I am now. Through my NASA experiences, I learned that there is an opportunity within every obstacle. Sometimes I’ve tripped and fallen due to factors beyond my control, and sometimes the obstacles were my own fault. Regardless, learning to find an opportunity within every one of these challenges has built my confidence and problem solving skills. When one of the education programs I was part of in high school was discontinued, I channeled my disappointment into creating opportunities where none existed before. I mentored a middle school girls’ STEM club, scheduled my own job shadows with scientists from NASA and the Smithsonian Institution, and started a club for space advocacy in my hometown. It was hard, but it was a valuable lesson to learn and I now apply the same philosophy at JSC and in my personal life. When something doesn’t go my way, I don’t see it as a barrier to success – it’s an opportunity for me to learn or try something new. In addition to the technical skills I’ve learned with NASA, I also learned the importance of networking. I started building my NASA network in high school, and expanded my network during my first internship at NASA Goddard. My networking at Goddard led directly to an internship in Huntsville, AL with a private company in summer 2017. I also had the opportunity to meet with a U.S. Senator and Goddard leadership because of the network that I built. Learning how to use my connections has played a big a role in getting me to JSC. 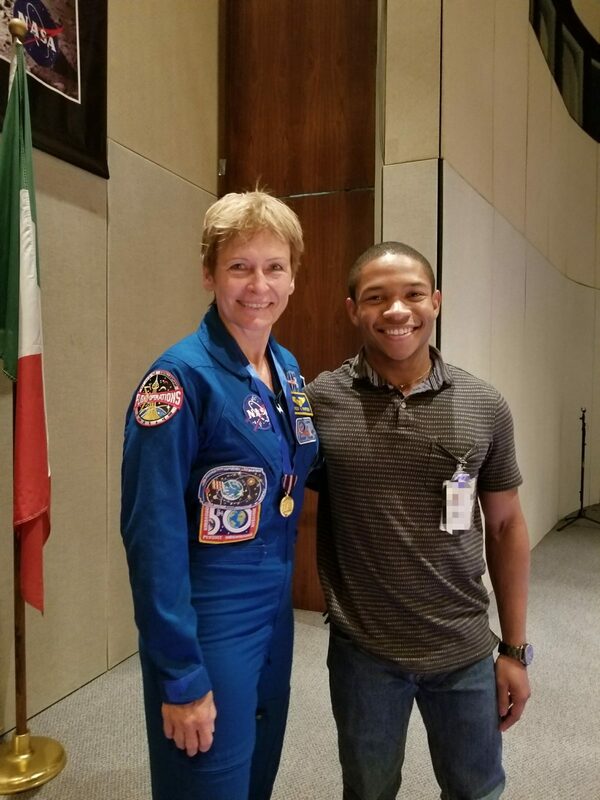 My journey to become a NASA engineer, and ultimately an astronaut, is only beginning, but I am grateful for the NASA experiences I have had so far. I’m not sure what my life would have looked like without them, but I’m fairly confident I wouldn’t be at JSC right now had I not had those experiences. For anyone who stands where I stood six years ago, dreaming of space but not knowing how to get there, keep learning, keep trying, and keep pushing forward. Many doors won’t open on the first try, but the victories are well worth the effort.